I made this website for a music band called DD LUXZ as a class project. The purpose of the site is to give their fans information about the band and its members, get feed back from fans, and showcase their albums. The color palette i used was based off of their latest album at the time, I i also felt it gave the same feeling as the songs from that album. The site is only four pages which are the Homepage,an about page, an albums page, and contract page. The site was built using Dreamweaver and Bootstrap, so it is fully responsive. The Homepage just has gives a welcome message to the visitors, and contains a slider that shows some images from past events. 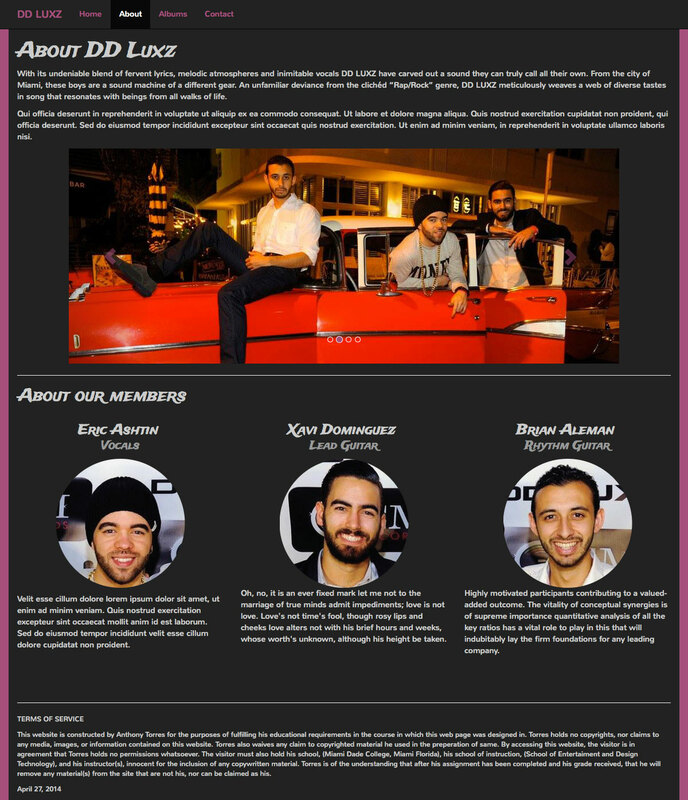 The about page gives the readers information about the band then underneath that you have information about the individual members and their role in the band. The album page showcases their albums, with full song list and lyrics to most of the songs as well as a video that they did. 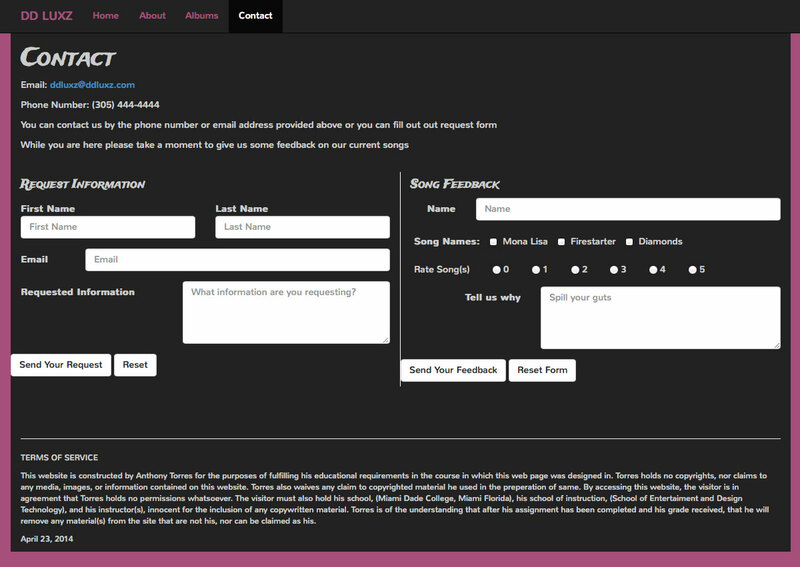 The contact page has two simple forms to interact with the fans.